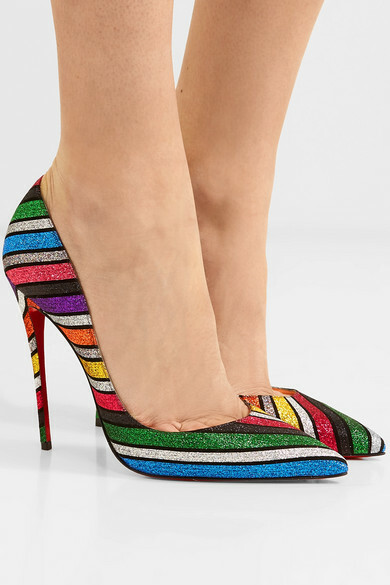 This suede version of Christian Louboutin's iconic 'So Kate' pumps is the highest the label offers and the boldest. 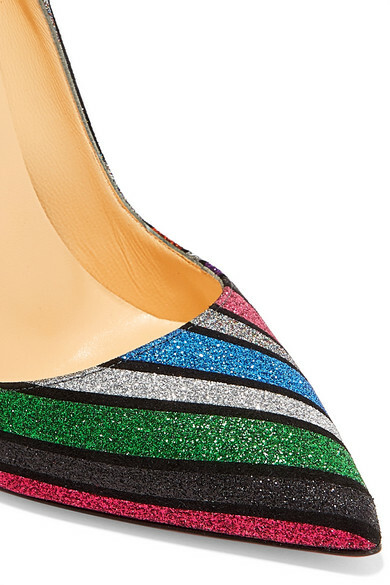 They're emblazoned with glittered stripes in kaleidoscopic colors and have narrow pointy toes. 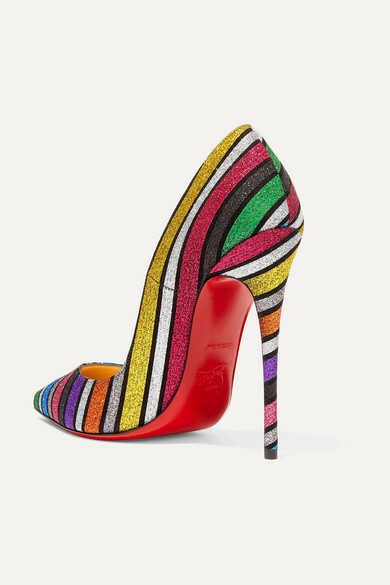 The lacquered red soles are inspired by a spontaneous moment of creativity with nail polish. Shown here with: ROTATE Dress, Bienen-Davis Shoulder bag, Christopher Kane Earrings, Jennifer Fisher Ring, Sophie Buhai Ring.